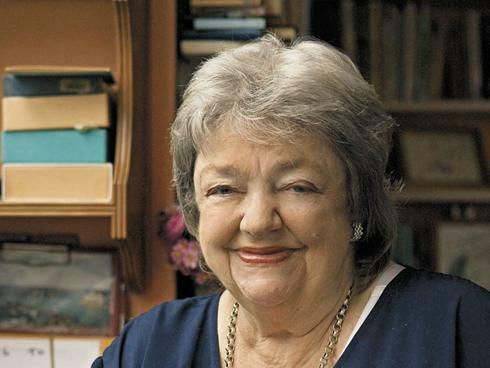 Tomorrow will see the first anniversary of the death of renowned Irish author Maeve Binchy. Among her many accomplishment, Maeve was famed for her ability to capture the natural rhythms of people’s speech. She was a champion eavesdropper and could lipread, and she put her gifts to good use when she wrote her characters’ dialogue. Dialogue brings a story to life. Without it, books would just be big wodges of text. Dialogue helps you cut to the chase. You can reveal a lot of detail about your characters and plot without weighing your reader down. Dialogue also gives your story momentum; you can use it to introduce important scenes. But people often find that when it comes to dialogue, they don’t know where to start, so here are a few handy hints. The best way to create dialogue is to listen to people speaking. You’ll naturally absorb their speech patterns into your writing. As part of your craft, you have license to listen to people on buses, in cafes and on the street. You never know what you will hear. The little gems you pick up could well become stories in your own write. Good dialogue isn’t just about what people say, it’s about how they say it. Listen out for how people form their sentences and what kind of slang they use. You’ll find that people’s speech patterns will vary according to where they live, their level of education and how old they are. A couple of crude examples include the young person saying OMG, or the professor peppering their speech with Latin If you zoom in on how people’ speak, your dialogue will ring true. Pick up a book by an author you admire and pay attention to how they construct their dialogue. Take note of how it is laid out line by line, and of the language they use. Most dialogue is written in much more informal language, to reflect how people speak. There is also very little ‘he said/she said’ as this will be apparent from the text. Read it out loud. Put on silly voices. Let it seep into your skin. Which authors do you think use dialogue particularly well? Let me know. I actually wish I knew how to answer that question. Endings are notoriously difficult. I know of very few authors who do them well. Some authors keep up a great momentum for most of book, then the air goes out of the story and you’re left with a flat feeling. In fairness, this could simply be because you don’t want the book to end, but still, it’s hard not to feel cheated that the author has dropped the ball. Then there are authors who deliberately leave the loose ends untied, in the name of art perhaps. I guess they must feel that since life is ambiguous, and art imitates life, they will leave their own work ambiguous too. But it’s maddening for readers. The problem for the first set of authors is that they write three-quarters of the book and suddenly realise they need to finish. That’s why endings can feel rushed and incomplete. The second set of authors may feel that the reader can work out for themselves what the ending means. But I think that if readers have stuck with you to the end of your book, they deserve better. They deserve to shut the book and be satisfied that they know exactly what has happened to the characters they are rooting for. Reward them with an ending that wraps your story up in a bow. There’s no certainty in life, so it’s nice to find certainty in book. A good ending does not have to be schmaltzy. It just needs to leave the reader with a sense of completeness. And if you can surprise your readers with your ending, so much the better. Endings that stick in my mind include The Outcast by Sadie Jones, which was a low burner but led to a thrilling climax. The book ended where ti began, but with the characters in a completely different place. The ending of The Kite Runner gives a promise of redemption. And the ending of We Need to Talk About Kevin was one I didn’t see coming. What endings have impressed you? And what do you do to bring your stories to a satisfying conclusion? Recently, an email landed in my inbox asking me for permission to reuse an article I’d written – always a flattering request. It was for a new journal of local history being compiled near my home town of Clonmel, Co. Tipperary. The article had first appeared in the Tipperary Historical Journal, almost 10 years ago. The request sent me trawling through the dusty files of my memory, to an article which was one of my most successful in CV terms, but more important than that, had the greatest impact on someone else’s life. It was a first-hand account of the life of a farm labourer in South Tipperary in the 1950s, given to me by the late Ned Britton. Ned Britton and his dog were regular visitors to my father’s veterinary surgery. He had a story burning inside of him, a story he had written on lined paper. My father showed me the story and encouraged me to put it forward for publication. Ned himself had left education after primary school and didn’t have the confidence to put it forward himself. Yet the simple words he used conveyed the full power of the story he had to tell. All I had to do was polish it up and expand it. Ned’s story was a story of an Ireland that has largely disappeared. It was a story of cold nights spent sleeping in cowsheds, of standing in icy flood waters trying to save drowning cattle, sparse meals eaten separately from the families he worked for. It was a story of isolation, deprivation and loneliness, yet it was told without complaint or resentment. He simply wanted to state the facts of his life at that time. After I sent the story to the Tipperary Historical Journal, it slipped to the back of my mind. Yet it continued to nag at me. I thought it didn’t deserve to moulder in a library; it needed to be heard by people who identified with that world, and people who couldn’t imagine it. So I arranged to meet Ned and hear more of his words. By now, he was unwell, but cheerful and determined to find an audience for his story. My mother drove us to the shed where he had once slept and I took photographs. Ned was a lively, good-humoured man, and even managed to find humour in relating an incident in which a farmer kept a loaded gun on the kitchen table, the trigger tied back with twine. ‘If the twine breaks, the gun’ll go off and either you or the wife will be shot,” he told Ned. Ned’s story had a happy end. After the incident with the gun, he decided enough was enough and joined the army. ‘When I arrived in the dormitory and I saw the two fires at either end, I thought I’d arrived in heaven,’ he said. With the extra information I gathered, the story developed wings, and was eventually published in Ireland’s Eye and the Nationalist newspaper in Clonmel. I also sent the story to the Museum of Country Life in Castlebar, Co. Mayo, where it forms part of its archive. About a year later, I heard that Ned had died, unfortunately too late for me to go to his funeral. I rang his house and spoke to his daughter, who told me that the account published in the Nationalist, his local paper, had been brought to the altar during his funeral. We journalists tend to be a little selfish with our stories. We claim them as our own because our byline is on them. But some stories belong completely to the person who tells them, and that was the case with Ned. His story shows that every story deserves to be heard, no matter how small it may seem. I’m preparing to run summer camps for children in a couple of week’s time. Running a creative writing workshop for children is more of a challenge than it is for adults. It’s harder to get their attention and it’s harder to hold it. And though I’d love to have the crack with the kids, the class will go better if I act like their teacher – and they secretly prefer that. But it’s always worth it, for that one child. I’ve done classes in schools, where it was clear that the children would rather eat clay than do creative writing. At least with camps, the children are more likely to have chosen to come. But you’ll always spot the child for whom this cap means the world, the child with the soul of a writer. This child may be quieter than the others, taking everything in while the other children chat and laugh and bounce around. They’re likely to be the sort of children who slink away from parties to read books. But what they do say will be right on the money; they’re observant and articulate. They’ll notice things that most other children and adults miss. When these children do the writing activities, they show a real understanding of what you want them to achieve with the activity. They don’t just follow the basic instructions; they show a complete mastery of the skill you’re hoping to achieve. My workshops culminate in the children writing a story. The stories these children produce are more complete in their structure and have an extra depth and punch – a 3D effect. It’s hardly surprising. Even at the age of eight or nine, these children will often already have started writing full length pieces. When a workshop finishes, these children will sidle up to you and thank you. It won’t be the standard thank-you drilled into them by parents. Aside from the gentle swelling of my ego, it’s a very touching experience. I can only hope that my workshop has shown them that their dreams of being a writer are perfectly valid – and that they just might come true.